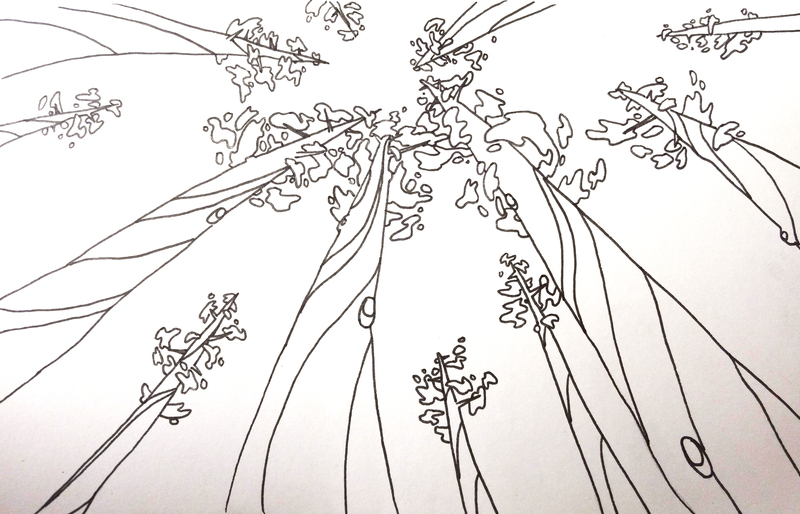 Looking up at treetops, inspired by Californian redwoods. It appears that when people leave blank whiteboards around, I vandalize them. This has happened multiple times. 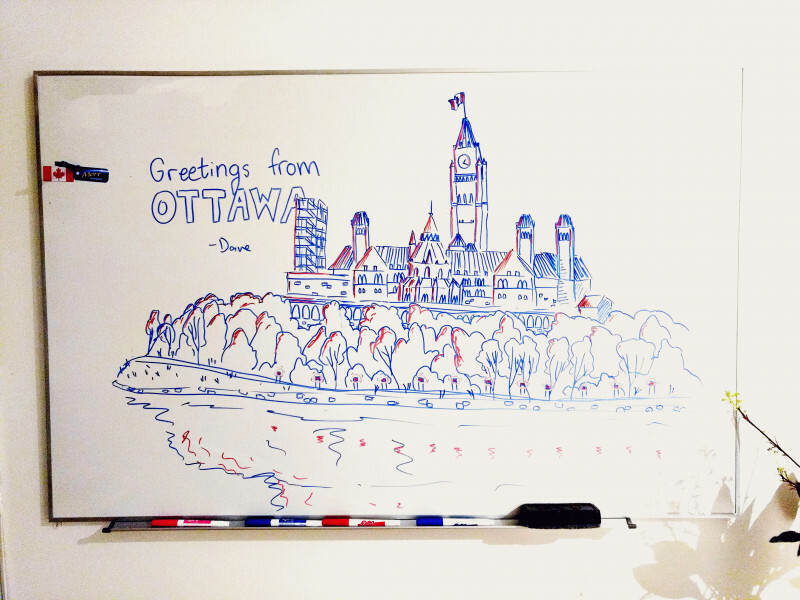 A whiteboard drawing of Parliament Hill in Ottawa, left on the whiteboard of an Airbnb in Vancouver. 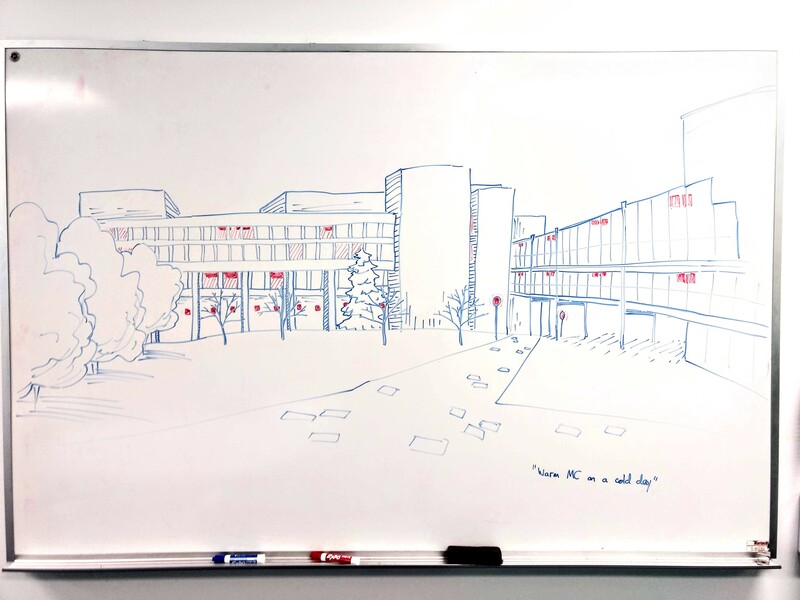 The path between the Davis Centre and the Math and Computing Building at the University of Waterloo, left on the whiteboard of the Software Engineering lounge.